STAN & OLLIE brings slapstick back to the big screen. 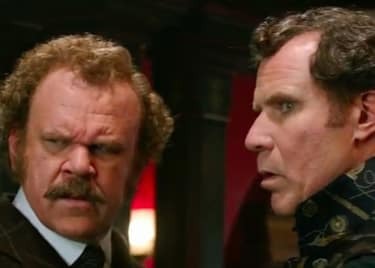 Directed by Jon S. Baird, the new dramedy is based on the untold true story of the world’s greatest comedy team, Laurel and Hardy, played by Steve Coogan and John C. Reilly. The famous duo made over 107 film appearances between 1927 and 1950, but STAN & OLLIE is set in 1953, when their career — and Ollie’s health — is in decline. In an attempt to re-establish themselves, they embark on a variety hall tour of Britain, which becomes a hit with fans, but also their swan song. While on tour, Stan Laurel (Coogan) is writing a new script with hopes of getting the film financed from a European investor. When the money falls through, Stan doesn’t tell Oliver “Ollie” Hardy (Reilly), who is becoming increasingly frail. The truth eventually comes out, of course, causing a rift between the friends and digging up long-buried ghosts. Yet, they continue to perform together, mend their relationship, and Stan continues to write bits for him and his partner for years to come. 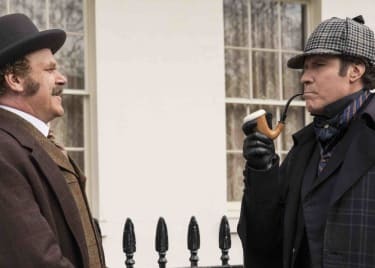 Coogan and Reilly deliver outstanding performances, their looks and mannerisms uncanny to the real-life Laurel and Hardy. 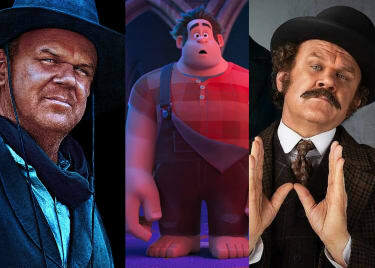 Though there is conflict, the film is mainly “a portrait of the most tender and poignant of creative marriages,” in which we get to see how much Stan and Ollie meant to each other. 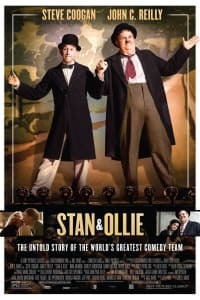 Get your tickets to STAN & OLLIE at AMC today.